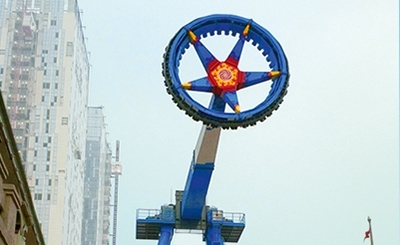 The GIANT FRISBEE is just what the name implies. 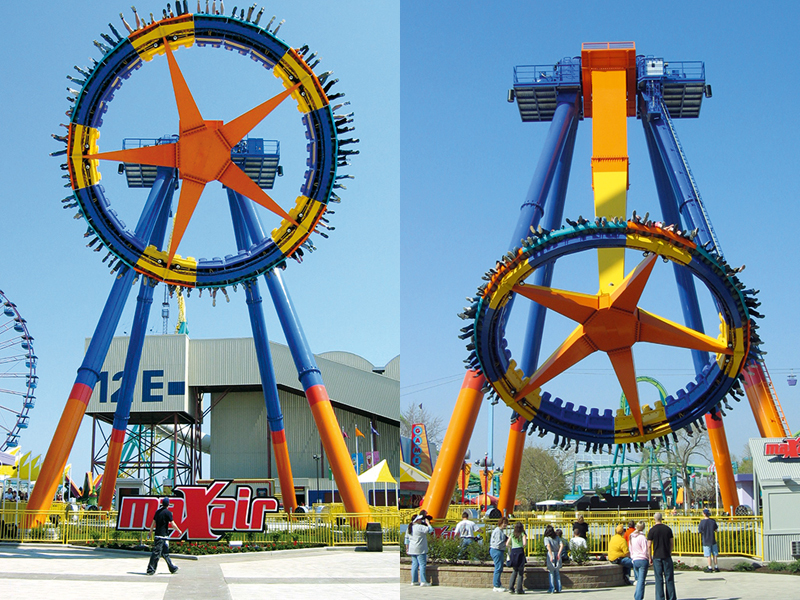 With its extraordinary size and power the ride guarantees a sensational ride experience with speed, acceleration and airtime. 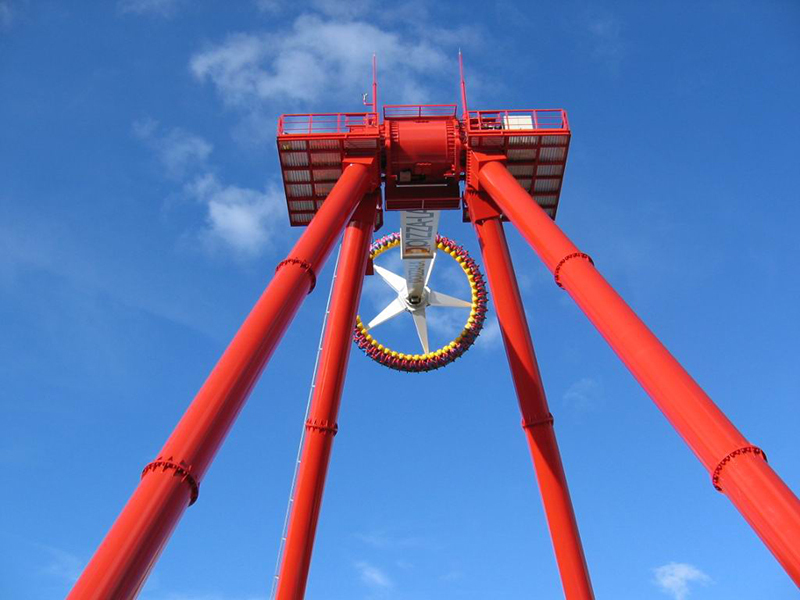 With its hub height of 26m and a maximum passenger flying height of 43m the GIANT FRISBEE is an impressive, striking landmark that gives thrill-loving guests exactly what they are looking for. 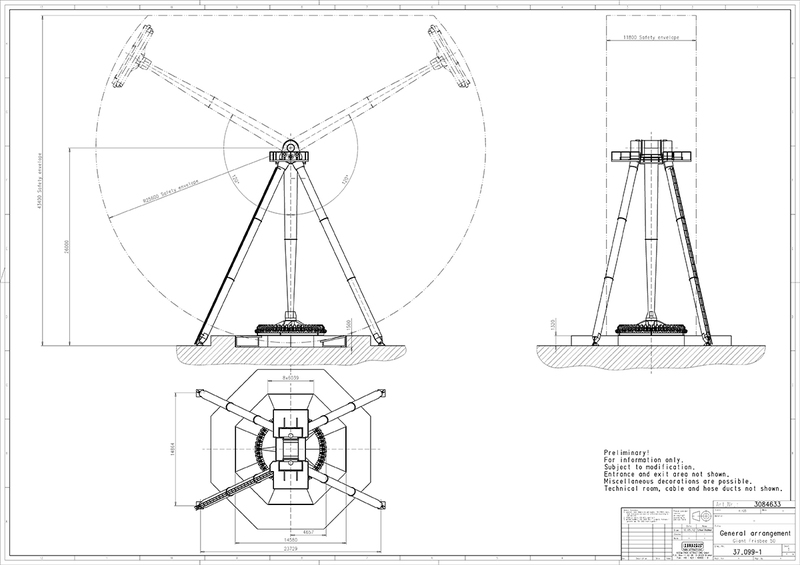 Four gigantic legs hold a mighty pendulum that swings 120° to each side while at the same time the gondola on the lower end rotates at 8rpm. 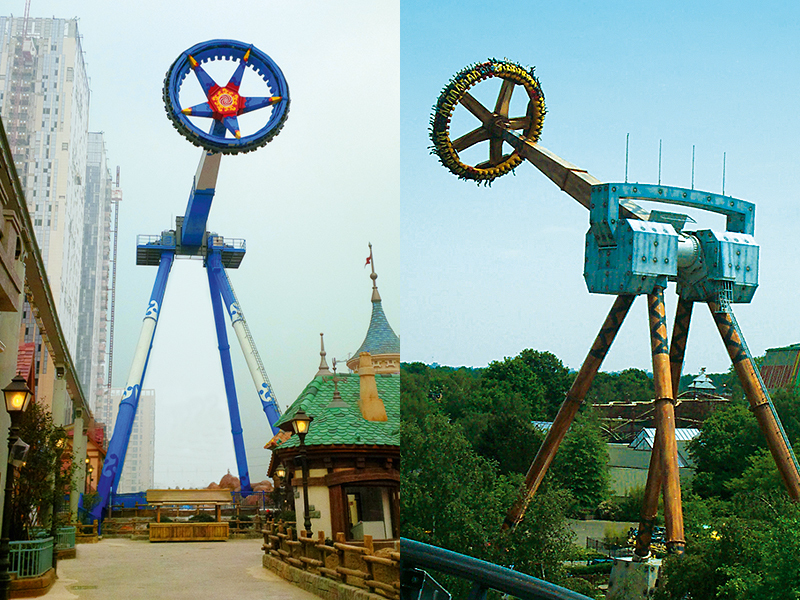 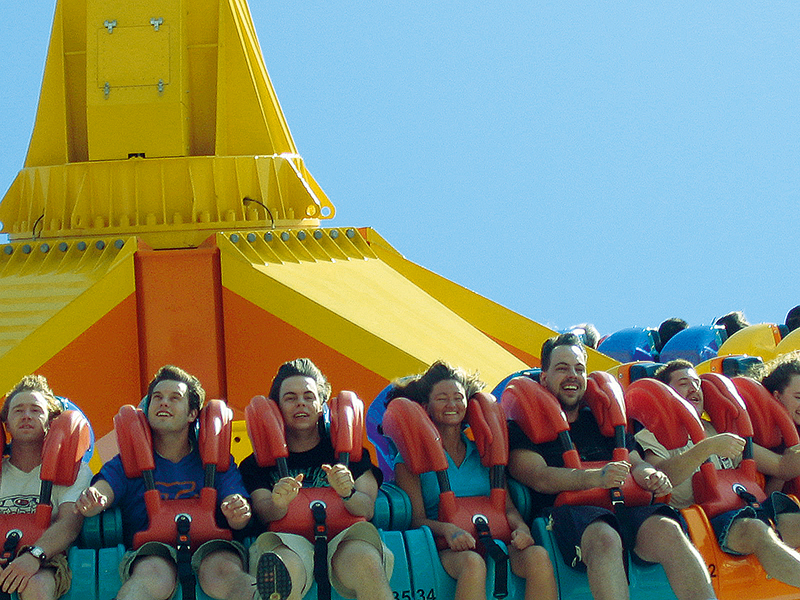 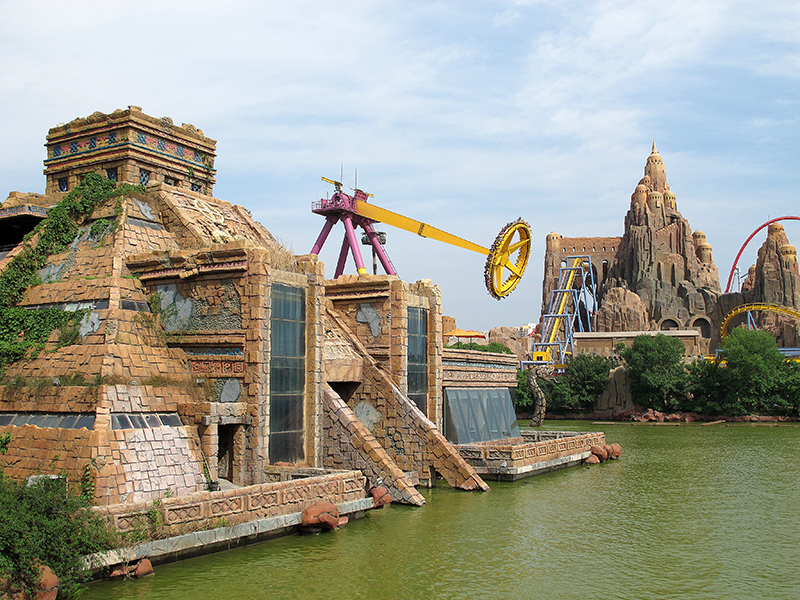 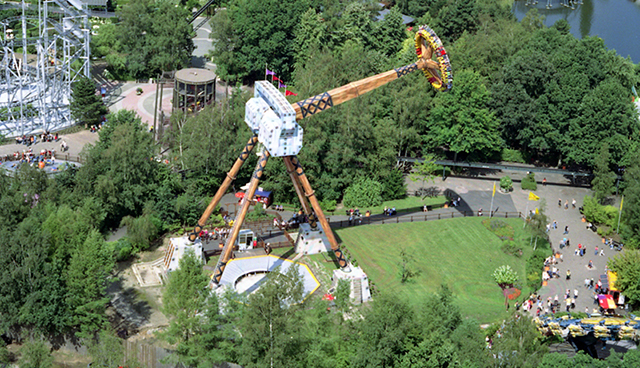 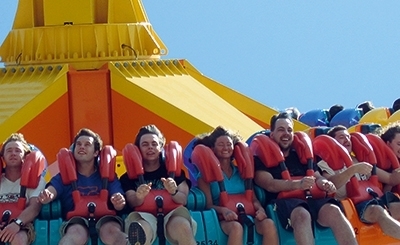 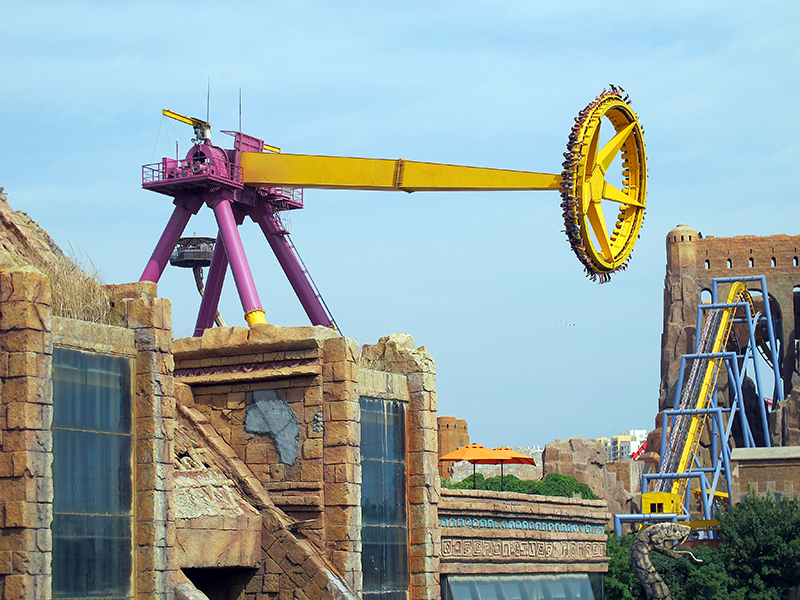 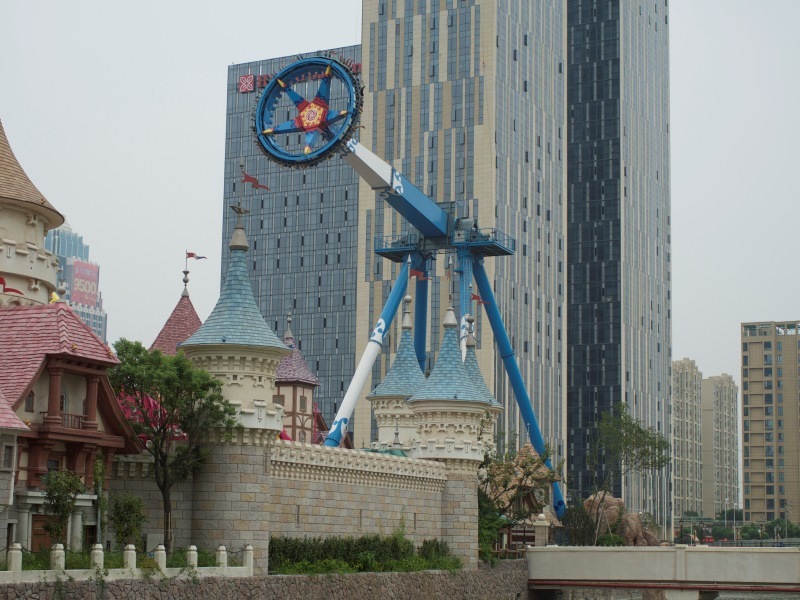 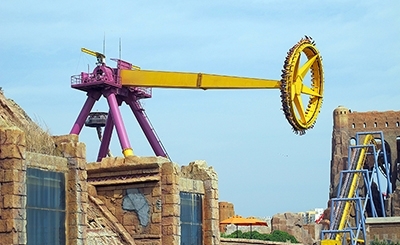 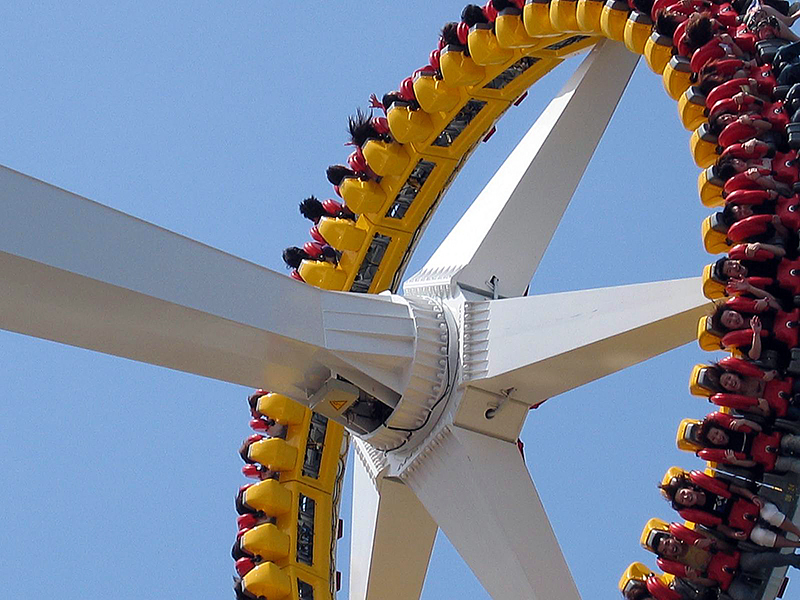 The pendulum accelerates up to 110km/h at +4.5g, parameters that are normally associated with major roller coasters. 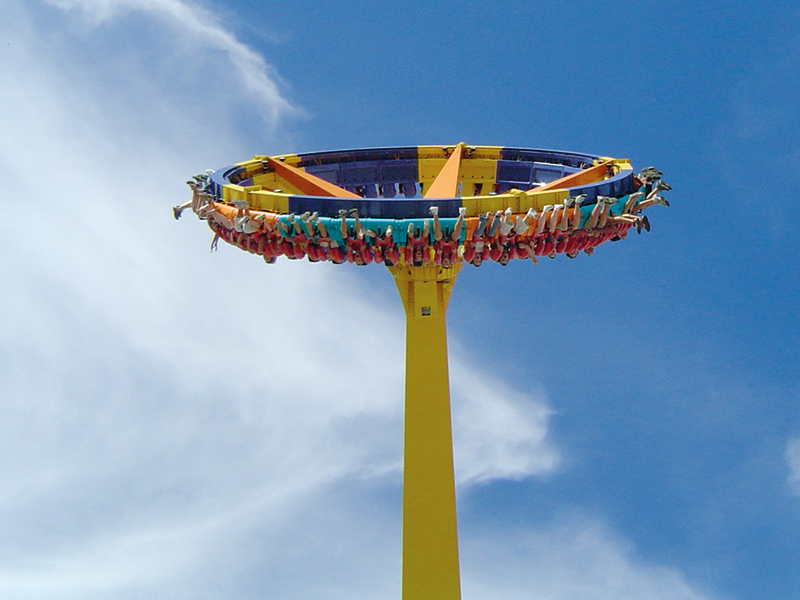 The gondola accommodates 40 or 50 passengers, offers suspended, floorless seats and provides additional exciting feelings while swinging high above the ground. 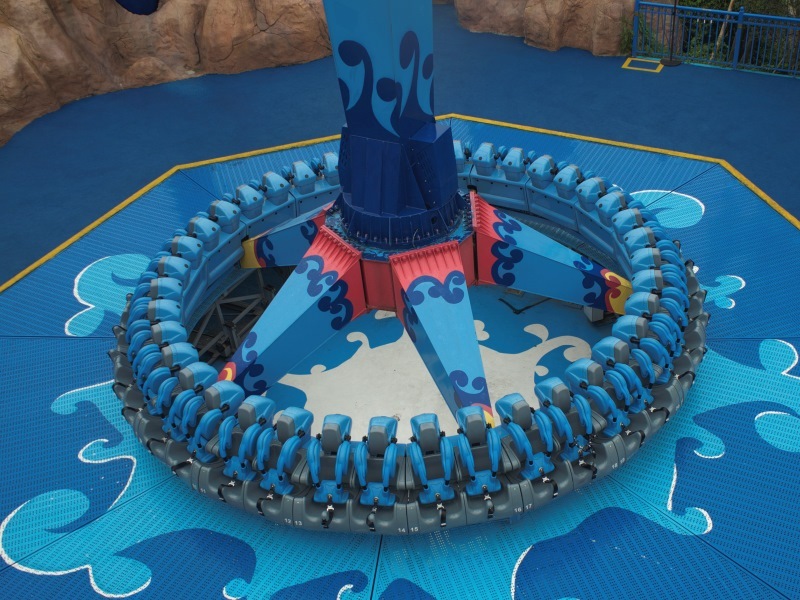 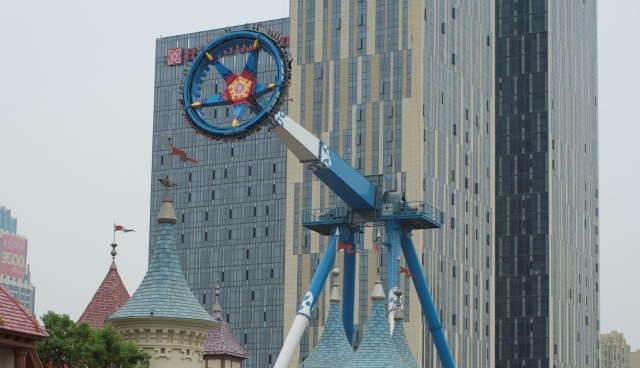 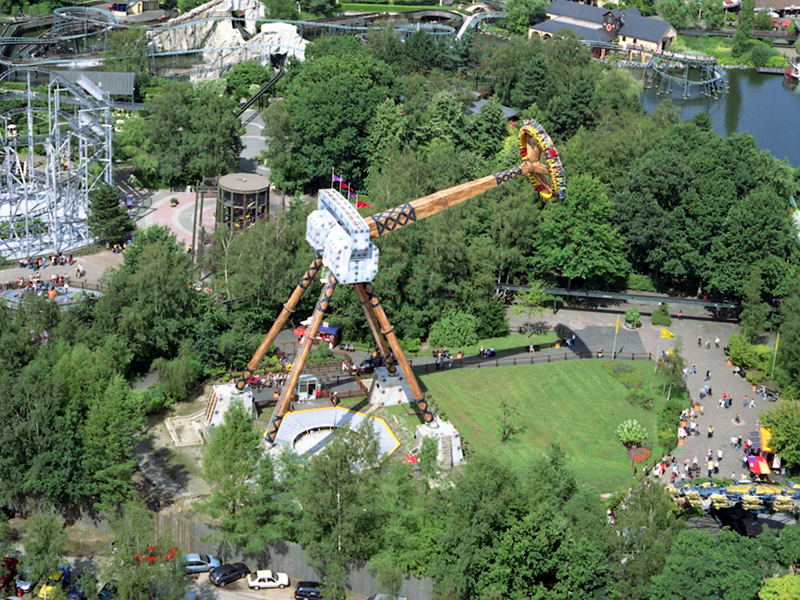 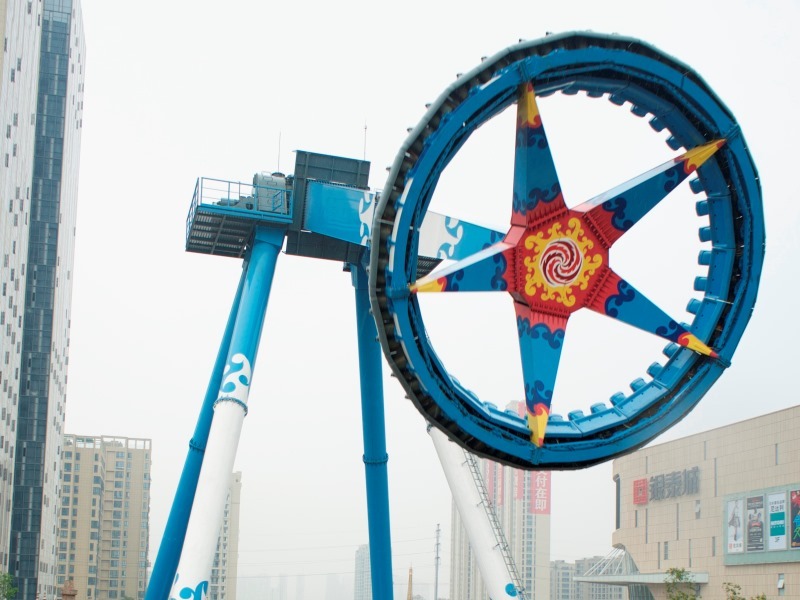 With a broad guest appeal, the GIANT FRISBEE is without doubt a highlight for theme and amusement parks, attracting riders as well as spectators. 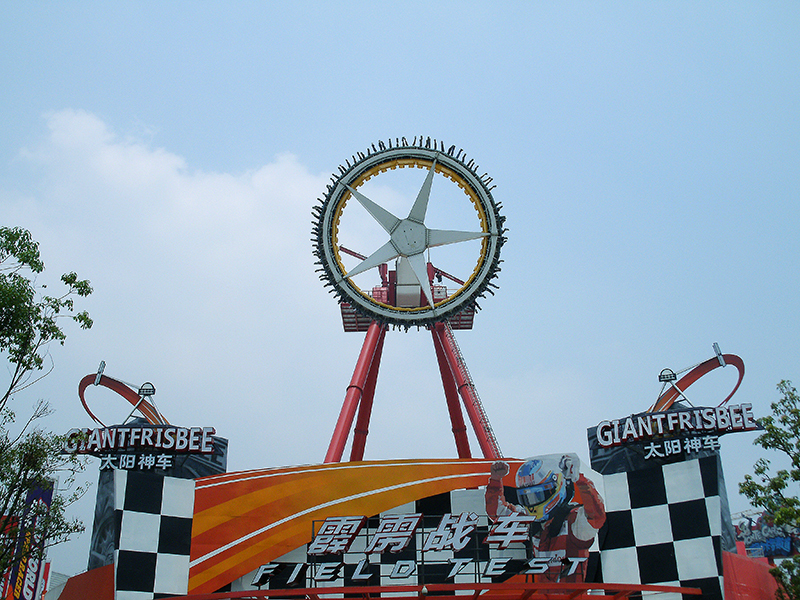 GIANT FRISBEE is super size, super thrill!